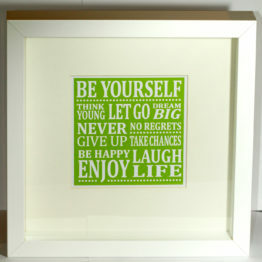 WHITE, with an ivory mount and come with wall hangings. 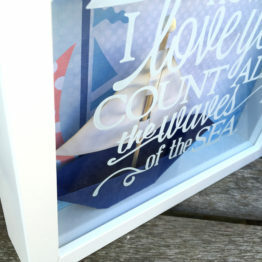 The frames are deep box frames at 4.5cm, with the picture being set towards the back. 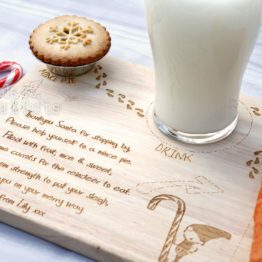 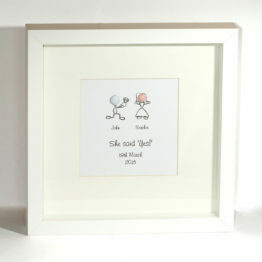 The standard colour is a cream/beige colours, as I find it goes with nearly all rooms due to it being a neutral colour. 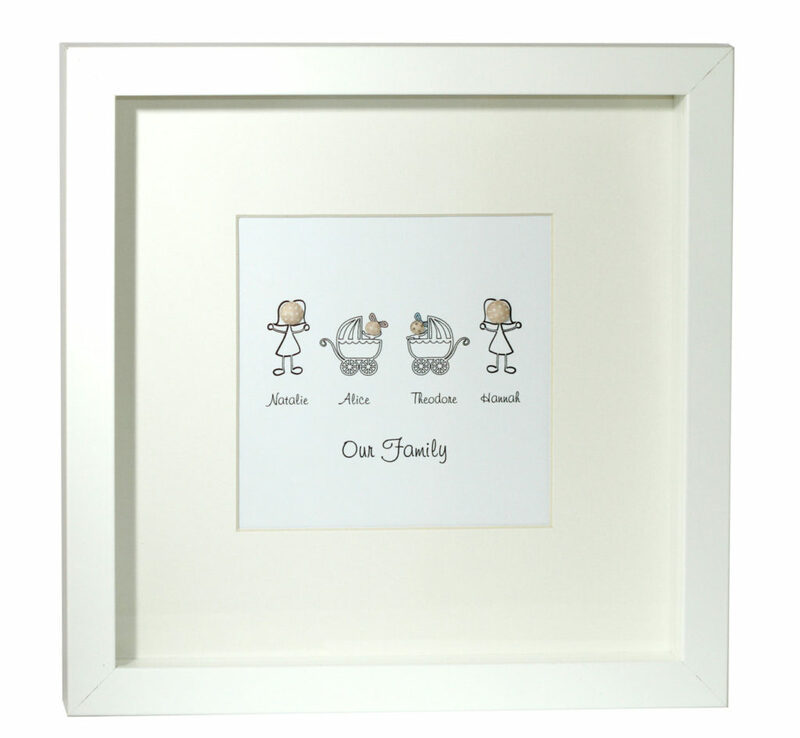 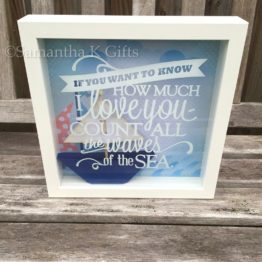 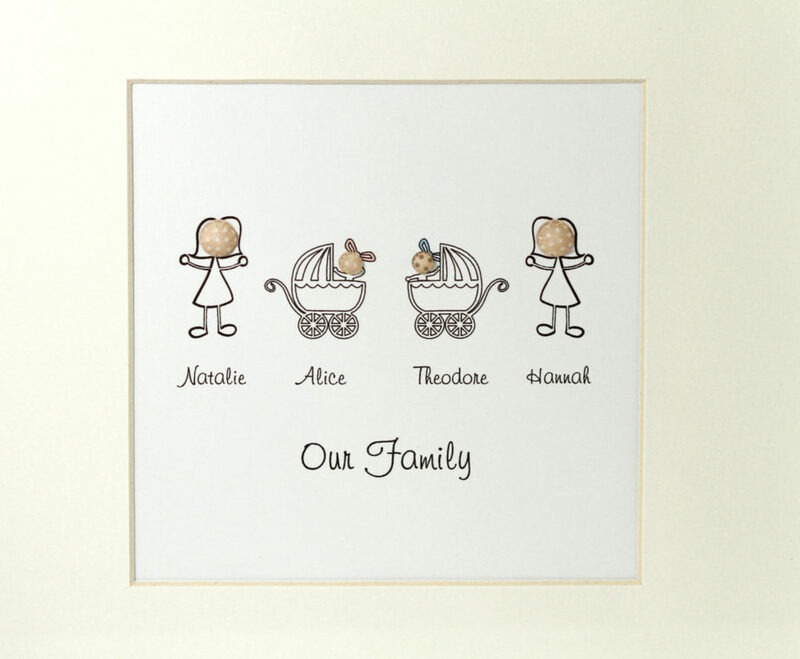 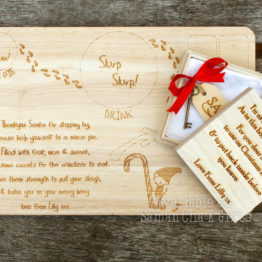 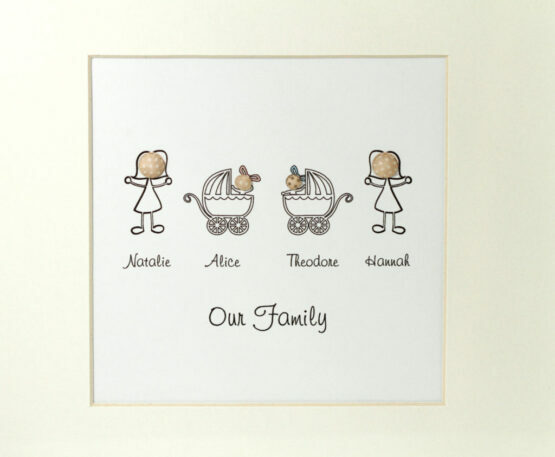 Gorgeous family portrait frame, with the prams and peeking babies it makes a perfect gift for those welcoming a new addition to the family.